How did you start out in property? My aunt has worked for agencies in this area for over twenty years and when I was still at school I would spend the summer holidays working in the Notting Hill, Holland Park and Kensington offices. My interest in property spiralled quickly from there. What is the special appeal of your area? The area directly surrounding our W10 office feels like a village with its quiet tree lined streets and independent shops, yet in minutes one can be in the hustle and bustle of Ladbroke Grove and Golborne Road. 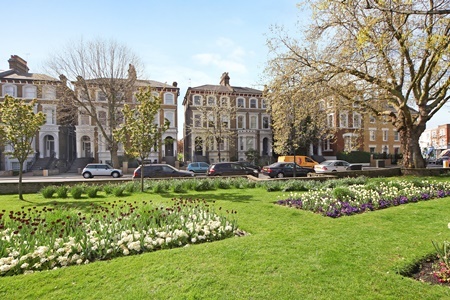 It has become an increasingly popular area for families with numerous excellent schools along with lovely green open spaces such as Kensington Memorial Park and Little Wormwood Scrubs. In what way has the local market changed in the last year? The local market has grown at a rapid rate in the past twelve months. The migration we initially saw from Notting Hill to North Kensington has continued to Kensal Rise and Queens Park. Mountgrange Heritage has mirrored this movement in both sales and lettings. When is the best time of year to sell or let a property? We are often asked when it is best to put a given property on the market as people often hold the misconception that the sales market is seasonal. However what really drives the market is confidence so the best time to sell is when the market is buoyant. What is your favourite local activity? An hour at Ten Pilates on Exmoor Street, W10. The instructors make you work hard but it is well worth the effort! Do you have a favourite local street? It’s often said Golborne Road is what Notting Hill used to be like before the chains moved in. There is no pretension here, just a melting pot of cultures flourishing under the shadow of Erno Goldfinger’s Trellick Towers. I particularly love the eclectic and fascinating mix of architecture, both old and new. When I pry myself away from my usual lunch spot at the St Helen’s Deli and Foodstore I walk to Golborne Road for the amazing street food. Do you have a favourite style of property? Edwardian and Victorian properties provide great proportions for family homes or conversion flats and allow for a combination of traditional and contemporary features. The properties in the St Quintin Estate Conservation Area are made up of these two styles of architecture and it is always fascinating to see what lies behind each traditional façade as no two houses are ever the same. If you weren’t an estate agent, what would your dream profession be? What are your predictions for the local property market? 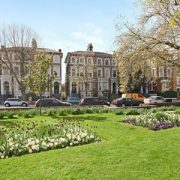 The ever increasing demand for property in North Kensington, Kensal Rise and Queens Park lends itself to nothing but continued growth across the local market. Autumn 2013: What are values doing in the village?